Android packs in a lot of hidden gestures and quick shortcuts that you might not know even if you are using Android for quite some time. 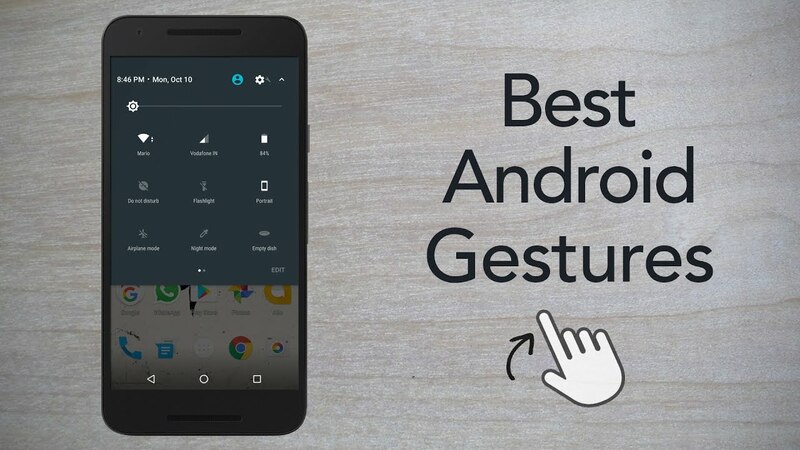 So, In this video we’ll be showing you some really cool Android gestures that can speed up the way you use your device. We are demonstrating this video on Nexus 5X running Android Nougat 7.0 but most gestures should work fine on previous versions (Lollipop, Marshmallow) too. Your videos pretty cool as your communication.. But i need your all in one gesture apk link can u share with me ? What phone did you use in the video? Typing me to aa hi nhi rha…. Extreme corner wala …..& Also symbols with letter. wala…. Was a very helpful video. Hey guys you people are doing the great job but one thing I wanna mention that is nothing but from next time if your telling about some app or something you just mention that app link in your particular Video description, that may can helps the user better than what tou think thank you and all the best .